By extracting the DNA from a well-preserved toe, scientists in Germany have completed the first high-quality sequencing of a Neanderthal genome. It’s a significant improvement over a partial attempt made in 2010 — one that is now freely available online for other geneticists to study. It’s difficult to know if the newly completed Neanderthal genome could ever result in the resurrection of the extinct species. George Church, for example, has suggested that it might someday be possible. And it’s certainly a topical issue right now; researchers recently grew the embryos of a species of frog that has been extinct since 1983, and talk of de-extinction has suddenly become fashionable. Biotechnological viability aside, the ethics of bringing back a Neanderthal is, of course, an entirely different matter. Above image: “The figure shows a tree relating this genome to the genomes of Neandertals from Croatia, from Germany and from the Caucasus as well as the Denisovan genome recovered from a finger bone excavated at Deniosva Cave. It shows that this individual is closely related to these other Neandertals. Thus, both Neandertals and Denisovans have inhabited this cave in southern Siberia, presumably at different times.” - Svante Pääbo, Max Planck Institute. As for the recent breakthrough, it was made possible by researchers working at the Max Planck Institute for Evolutionary Anthropology in Leipzig, Germany. The Neanderthal toe they used was found in a Denisovan cave in southern Siberia in 2010. All they needed was just 0.038 grams of the bone to sequence every position in the genome around 50 times over. The researchers estimate that contamination with modern human DNA is around 1%. As lead researcher Svante Paabo told The Associated Press, “"The genome of a Neanderthal is now there in a form as accurate as that of any person walking the streets today." And fascinatingly, the researchers can even tell which genes the Neanderthal individual inherited from its mother and which from its father. 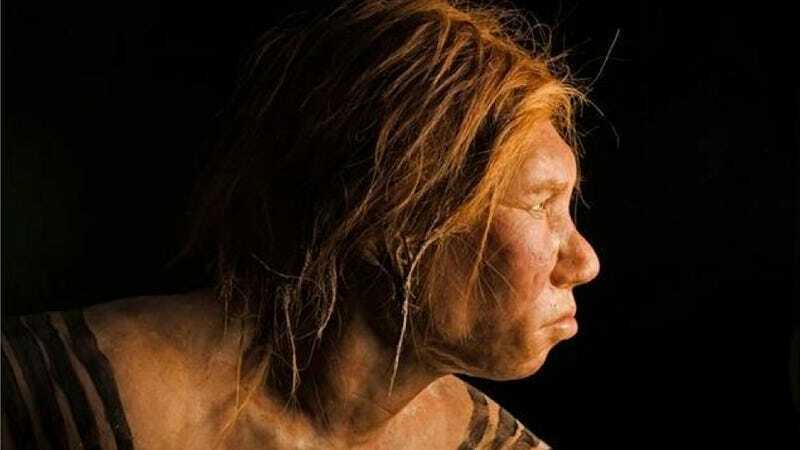 Moving forward, the researchers hope to compare the new genome sequence to that of other Neanderthals, modern humans, and even Denisovans (another extinct human-like species). That good preservation, combined with improved techniques, has provided a very high quality new sequence. Genome sequences are obtained randomly, typically in stretches about a hundred bases long. Over something the size of a human genome (about 3 billion bases), this randomness means that some areas will be sequenced many, many times, and others will be missed entirely or contain errors that repeated sequencing would allow us to catch. The typical measure of quality for a genome is called "coverage," and that's simply the number of times the average base would be sequenced if every base was covered equally. In this case, the genome has 50-fold coverage. That's well above draft quality (which tends to be around 30-fold), but there will definitely still be gaps, errors, and places in the genome that aren't sequenced at all. Still, that's about as good as we're likely to get with ancient genomes; the sequence includes almost all of the non-repetitive DNA found in the human genome, and it will provide a valuable resource for comparative studies.